The worlds largest live entertainment company, Live Nation created a multi-sensory experience to immerse wireless festival guests into the world of the perfume brand Black XS. A 360-degree photo both activity was implemented at the festival where attendees of the festival had the opportunity to experience Black XS while taking photos that were instantly accessible to share on social media by participants. 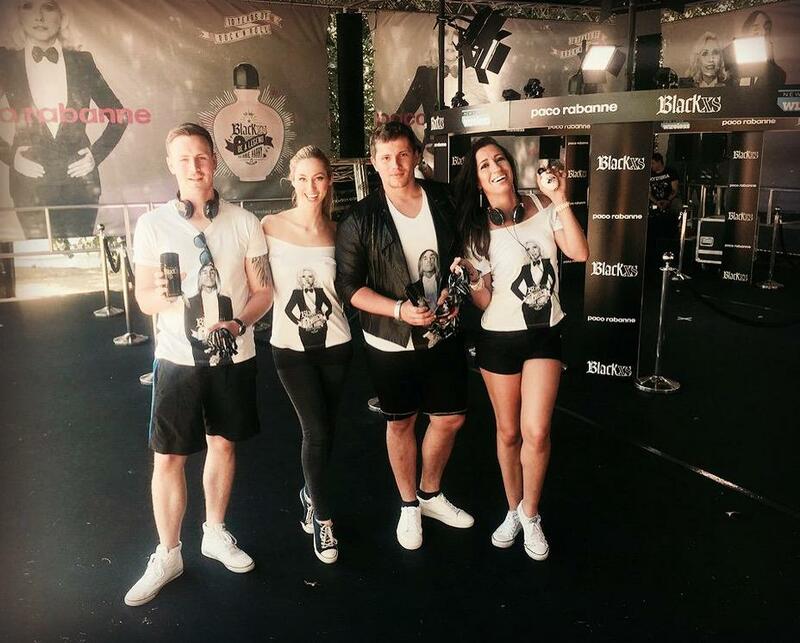 We provided two event managers and six brand ambassadors to host the 360-degree photo event. Echoing the brief we ensured that the brand ambassadors embodied the brands rock and roll identity and values which in turn amplified the guests festival experience. Mass sharing on social media of photographs captured by the 360 camera. Exceeded KPI of 11,200 guests visits activation areaa with 11,200 fragrance spritzes.